This article answers some of the frequently asked questions by online casino players in the United States. The US online casino landscape in the U.S. has changed considerably since the UIGEA (Unlawful Internet Gambling Enforcement Act). Today, your choices of where to play if you reside in the United States have decreased, as following the law being enacted, many of the major online casinos accepting US players exited the American online casino market. What is the legality of online casinos? In 2008, Microgaming announced they were no longer accepting US players. PlayTech pulled out of the North American market as soon as the UIGEA bill was passed back in 2006. Although these two major casino game suppliers had exited the US online casino market, several online casino developers have continued to provide their services to players in the United States, including RTG (Real Time Gaming) software. 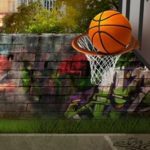 Established in 1998, RTG accepts all USA players. They have become strongly associated with their Real Series video slots. Online casino software has undergone many changes since their inception. 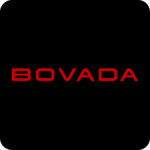 Present day software, like the one at Bovada, is much more polished and improved from the software that appeared for the first time in 1998. In the beginning, online casino sites came with a few games only and the software was buggy, but the few online casinos that existed quickly gained in popularity, as they were the only casinos online. Regulation would greatly improve the US online casino landscape. If and when the bigger states in the United States like New York, Pennsylvania and California regulate online gambling, other states would likely follow and enter into interstate gaming compacts with existing regulated markets. 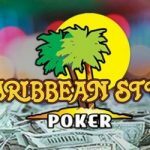 In addition to sharing content and services, many US online poker players are hoping that this will lead to an online poker landscape that would be similar to pre-Black Friday, since there would be a large shared online poker pool offering a lot more action that what is possible on a state-by-state basis. We can only see what is going to happen. Pretty much all you need is an internet connection and a computer. And if you want to play online casino games for real money you’ll need to register an account with your chosen casino and deposit funds into your casino account. 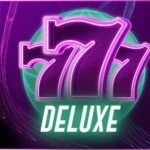 What deposit methods are available to you? Well, that will depend on the US-friendly casino you’re playing at. 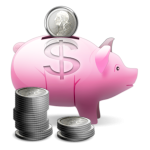 There are several ways to deposit funds and the methods available to you will be listed in the online casino’s cashier. A new deposit option which is gaining in popularity over the past year or so has been Bitcoin. Bitcoin, or BTC for short, is a form of virtual currency, which is created and stored electronically. Due to the challenges facing US casinos, more and more online gambling sites accepting American players are accepting the Bitcoin currency. 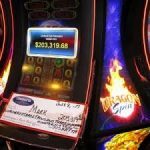 Is it possible to play casino games on a mobile or tablet computer? Playing online casino games on a smartphone/tablet is gaining in popularity as it’s extremely convenient. 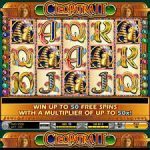 Current mobile casino apps are compatible with all the popular iOS/Android mobile devices enabling online gamblers to enjoy their favorite casino games whilst on the go. 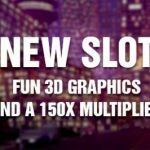 Whether your preferred game is online slots, table games, video poker or specialty games, you’ll be able to jump straight into the action from anywhere and at any time. And the good news is that all the major players in the US online casino market offer mobile apps, much to the delight of enthusiastic online casino players in the United States.